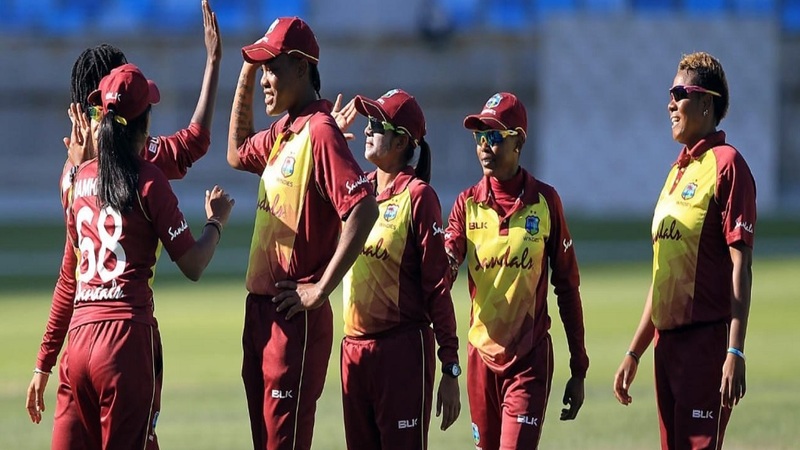 West Indies Women defeated Pakistan by 146 runs in the first ever women's One-Day International (ODI) to be played at the Dubai International Stadium. 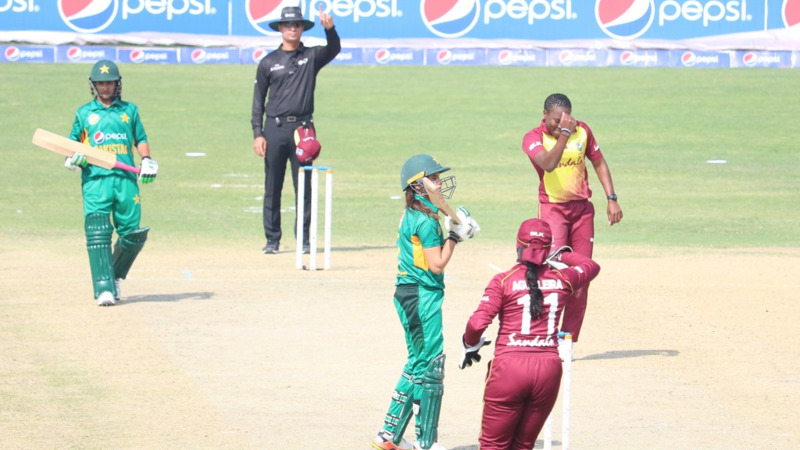 Deandra Dottin demolished Pakistan with an all-round performance. Dottin slammed 96 and took three for 14 as Pakistan lost nine for 24 to be dismissed for 70 in 29.5 overs in their chase of 217. Opener Nahida Khan top-scored for Pakistan with a 47-ball 23. However, she had to retire hurt after being hit on the visor of her helmet. With Aimen Anwar opting not to bat after sustaining a hamstring injury during West Indies' innings, Pakistan's chase had a premature end. Afy Fletcher supported Dottin with three for 17 in 8.5 overs. Javeria Khan had stood in as Pakistan captain in place of Bismah Maroof who was rested after she was hit on the jaw while attempting to catch the ball on the eve of the game. Earlier, Dottin bailed out West Indies after they had laboured to 25 for one in the Powerplay to lead the team to 216 for five. 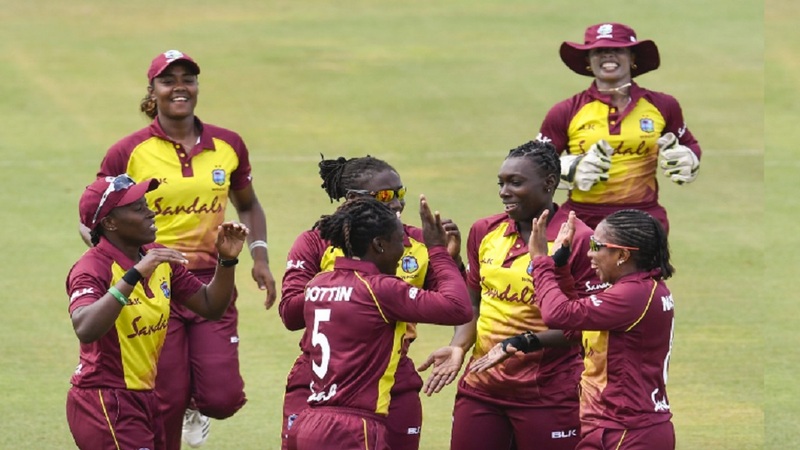 After seeing her opening partner Kycia Knight bowled for an 18-ball duck in the sixth over by Sana Mir, Dottin found good partner in returning captain Stafanie Taylor. Dottin and Taylor, who had pulled out of the T20I series in Karachi that West Indies won 2-1, brought up the team's fifty in the 22nd over. The pair put on a 146-run stand, West Indies' fifth highest in ODIs. Dottin's 96 came from 139 balls, while Taylor slammed 58 from 97 balls. 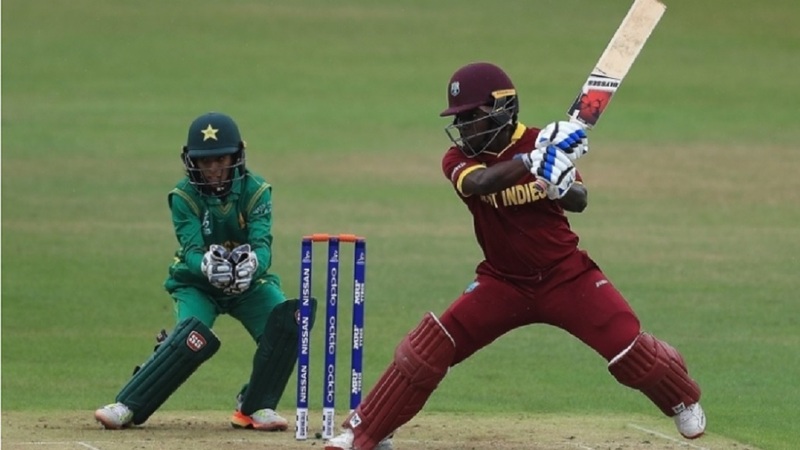 Dottin slammed eight fours and two sixes in her 139-ball knock, but was denied a hundred by Kainat Imtiaz, who ended with 3 for 49. Taylor hit four fours. Shermaine Campbelle (26 not out off 30 balls) and Chinelle Henry (18 not out off 9 balls) guided West Indies past 200.